Abstract Tunis City (roughly 30,000 inhabitants per km2) is developing in a subsiding sedimentary basin, 350 m deep, which is occupied by loose Quaternary deposits over a more rigid Eocene bedrock with a strong estimated impedance transition between the subsurface and the deep layers. Huge investment projects are initiated all around the edges of the Lac de Tunis and cover more than 25 millions square meters of buildings, towers, tourist complexes, bridges and yacht embankments. Due to this socio economic context, a comprehensive seismic risk analysis was conducted since a decade at the Tunis National School of Engineers with a special emphasis on site effects, liquefaction potential assessment and vulnerability studies of two pilot built areas located in the downtown zone and in the old Medina. All the collected and produced data are compiled in a geo-referenced database management system (GIS). 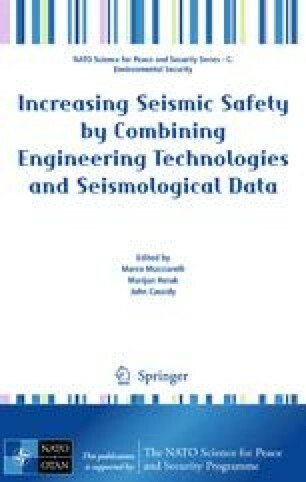 This chapter presents a broad coverage of the seismic site response analyses and liquefaction potential studies conducted in Tunis City by means of experimental techniques and numerical modelling.